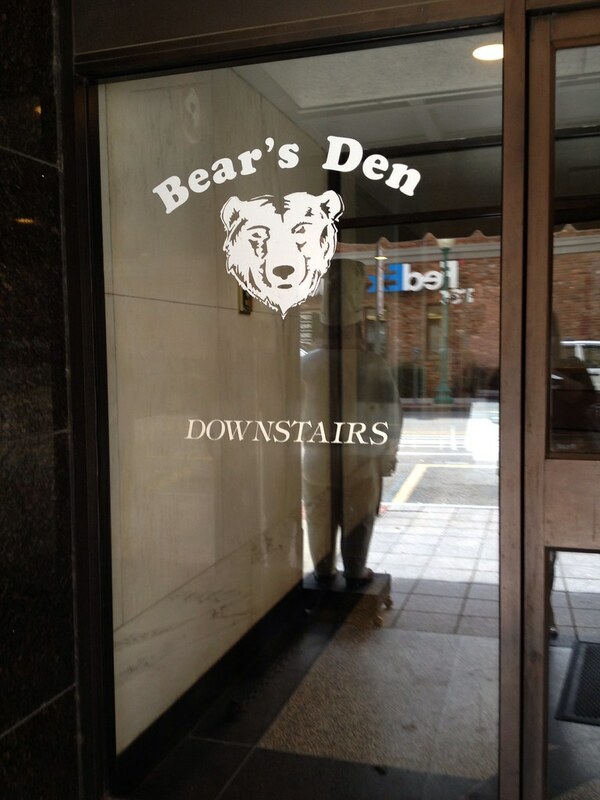 Am I the only one who thought the Bear's Den was a gay bar? Yes? Just me? Okay then. The Bear's Den is not a gay bar, just for the record. 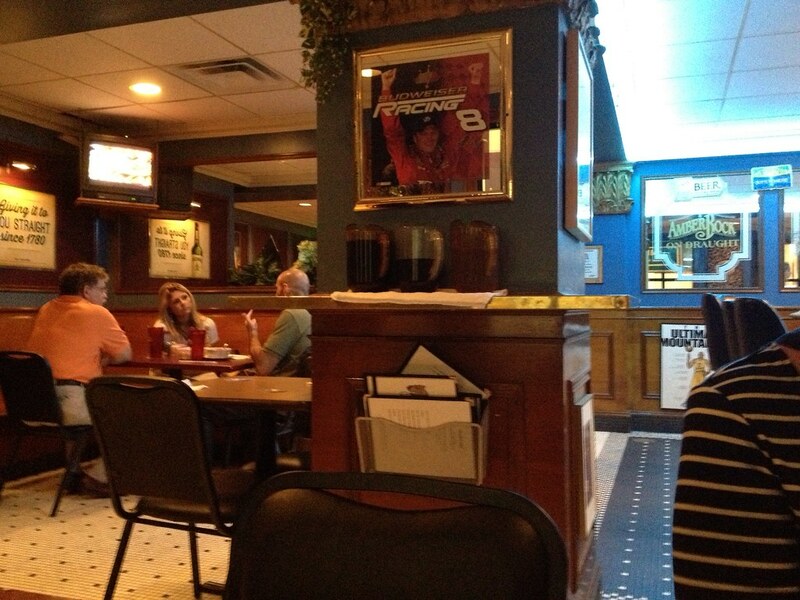 It's located near the opposite end of Capitol Street - near the Capitol Market. 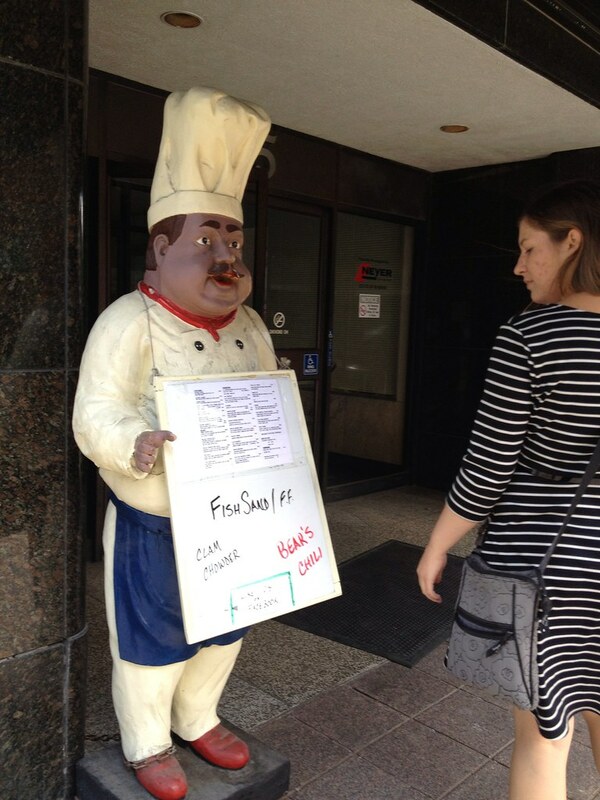 The only giveaway that it was a restaurant was that there was a chef statue outside donning the day's meals,and since it was close, it became the day's lunch. 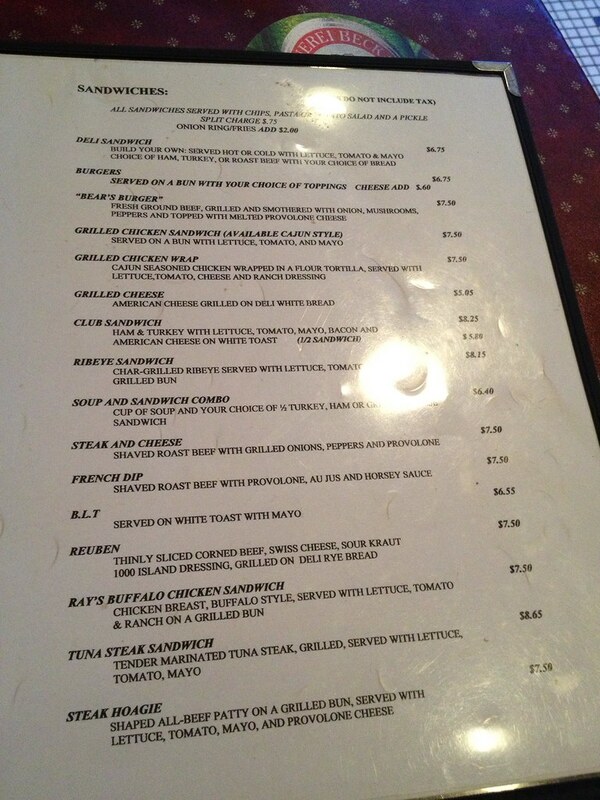 The menu is not huge, but it has some typical sandwiches like burgers, chicken, grilled cheese, club. 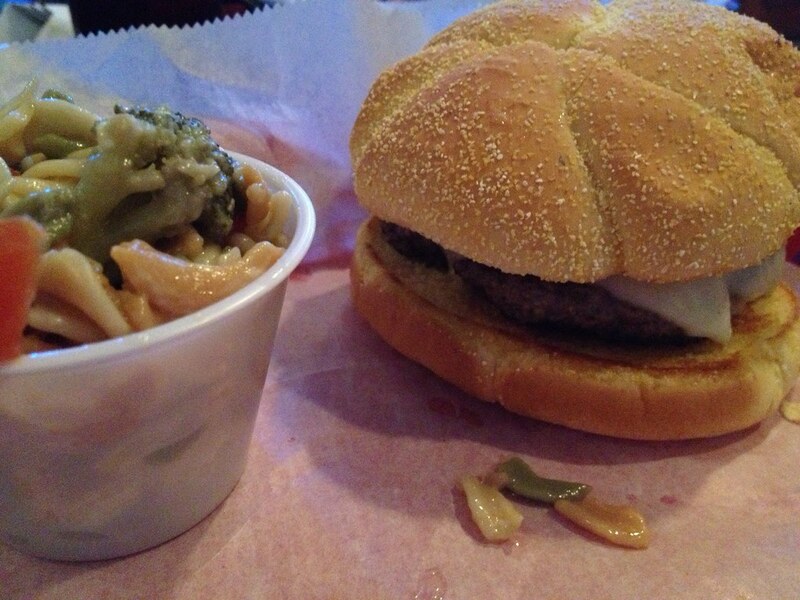 I went for the "Bear's Burger," which has fresh ground beef, onions, mushrooms, peppers and provolone cheese. I got that with a small side of pasta salad in lieu of fries. Let's start from the outside in - the bun was lovely because it was toasted and buttered. Lovely. The burger was thick and juicey. Could've used some more seasoning. Toppings - fine. I really like some tomato and lettuce with my burger, but the peppers were fine. I think some fresh veggies - not just sauteed ones - would kick it up a notch. But it was still an overall solid burger. The pasta salad had seen better days. Devoid of much flavor and just kind of a cold, mushy mess.